It will be a presidential year of epic proportions as House of Cards will return in 2016. 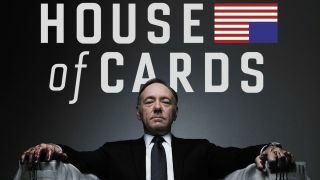 The fourth season of the Netflix drama was confirmed for next year in a @HouseofCards tweet. "I will leave a legacy," read the post, along with "#Underwood2016." The POTUS and First Lady (aka Kevin Spacey and Robin Wright) are expected to return to the show Former President Bill Clinton said is 99% accurate in its portrayal of how Washington really works. Yikes. 2016 is also an election year in the US, creating a tantalizing real-world parallel to the hit show's politicking. If only the actual presidential run could be this entertaining. No release date was provided, but we anticipate a lot of HOC binge-watching to commence in February.